So I’m well and truly into my second trimester and I have enjoyed it so much more than the first. Apart from tiredness and an achy back I’ve felt well and been able to really appreciate this stage in my pregnancy journey. When we had our 12 week scan I was actually 14 weeks and whilst it was amazing to see our baby again it wasn’t the best of appointments. The computer systems were down so my full report couldn’t be done that day, the baby was just out of the date range for the nuchal transluancy test we’d opted to have so I had to be referred for bloods and the sonographer knocked a glass of water over my maternity notes so we had to wait around whilst she rewrote them! All of that aside, we were just so relived to see the baby moving around, developing as it should and with a strong heartbeat. After the 12 week scan we were able to tell a few more people which was lovely – especially my friends! Two of my best friends are also pregnant and it was so hard not to say anything straight away as all I wanted to do was talk to them, but we just wanted to get to that milestone and make sure everything was as it should be before we told anyone else. At 15 weeks we went on a family holiday to Cornwall which was exactly what I needed, a week of fresh air, rest and lots of nice food. Whilst we were there I started feeling the first sign of movements (or the medical term, ‘quickening’) it felt a little bit like popping or fluttering – so exciting! 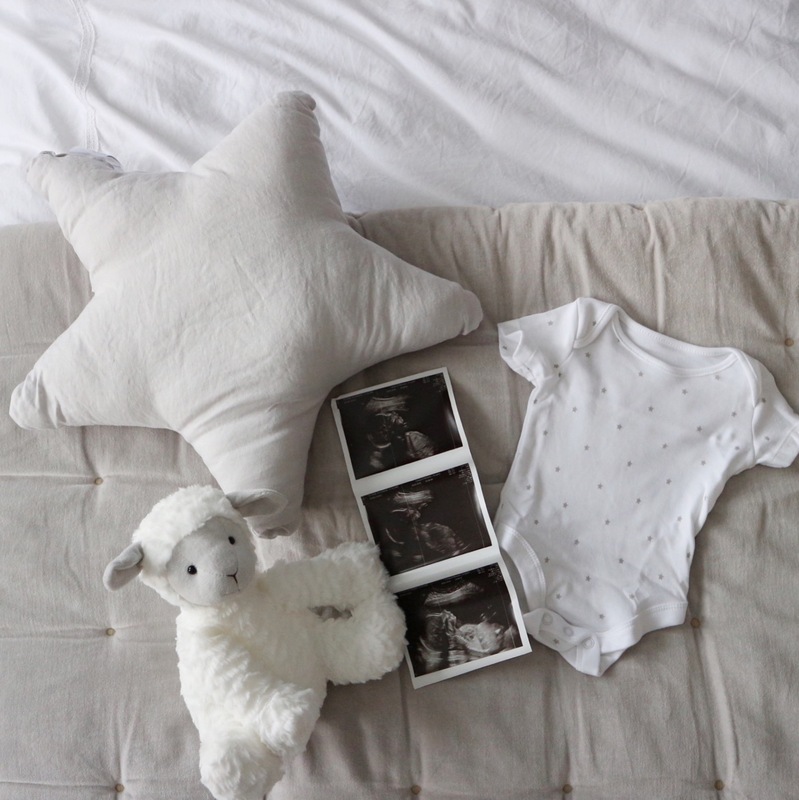 When I was much younger, the thought of a baby moving round in my stomach really grossed me out – now that it is actually happening to me, the only way I can describe it (I am aware that this is the cheesiest thing) is actual magic. It’s the best feeling in the world. I’d been feeling the kicks and movement for a few weeks but David wasn’t yet able to feel them, then one Sunday I felt the baby doing some strong kicks and asked David to pass me his hand and he finally felt it! It was such a nice moment and so much more emotional than I thought. It felt like quite a long wait between our 12 week and 20 week scan, I was anticipating this one the most as it’s a much longer scan to see baby’s full developments and any abnormalities. Our appointment was in the evening so it was hard to get through the day in work without thinking about it none stop. Whilst in the hospital waiting room I was so nervous waiting to be called in, luckily the sonographer couldn’t have been nicer and the whole experience was lovely. I had read that the sonographer can be quite quiet during this scan as they have to concentrate on every part of the baby but she talked us through everything she was looking at and what it all meant which made me feel at ease. Baby was tracking fine and I felt like a massive weight was lifted. Now it feels very weird that potentially that is the last time we’ll see the baby before they’re here! In terms of products or things I’ve found helpful over this trimester, my pregnancy pillow is the best thing I’ve ever bought (so comfy – pregnant or not!) It’s quite big in the bed but it’s helped me make sure I sleep on my side (recommended for best blood flow in pregnancy) whereas normally I am an avid tummy sleeper. I’ve got a few pairs of Topshop under the bump maternity jeans which have been a God send as well as some H&M none wired bras. I have struggled a little bit with my maternity style as I’ve outgrown a lot of my normal clothes now (I miss my high waisted jeans!) but ASOS also have a great range. 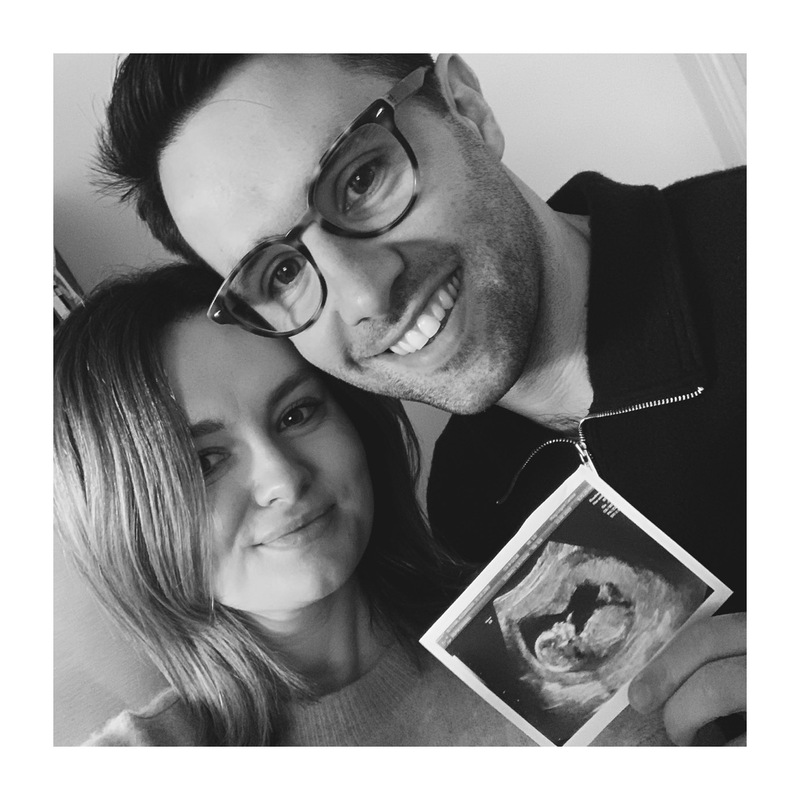 I’ve also been following influencer/vlogger Lily Pebbles on her pregnancy journey and she’s created a super helpful checklist if like me you have no idea where to start, or have a pregnant friend that you're looking to buy a useful gift for. You can find her blog post here. Plus she has some really great pregnancy videos on her YouTube channel which I’ve really enjoyed watching! If there’s any topics you’d like me to cover or any questions you have please comment on this post and let me know!